Nintendo Switch Playtime Data Update Coming Soon | Nerd Much? Some Nintendo Switch players have noticed that playtime data is apparently deleted after 10 days. Luckily, Nintendo of America has stated that the data is not actually being deleted, it is just being displayed incorrectly. Nintendo has stated on Twitter that there will be an update coming soon to correct this glitch. They would like to assure those affected by this issue that your game time is still be recorded properly and you will see it displayed after the update. This glitch was reported only a few days ago, on the cusp of the Nintendo Switch’s one year anniversary. It began with The Legend of Zelda: Breath of the Wild and soon spread to other games on the console. The amount of time played would display as “0 days ago”, leading some fans to believe that the Nintendo Switch only recorded game time for a year. Others thought this was a kind of reset or new feature, as the proper time began to reappear after 10 days had passed. This is how long it takes for your play time to show up on your Switch profile, so console owners thought nothing of it. 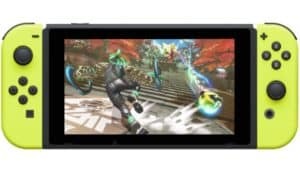 The last major glitch or issue the Nintendo Switch has was shortly after launch, where some users began to notice a delay in the left Joy-Con’s motion and button controls. Since Nintendo does not take returns well, fans began to find their own solutions to the problem. Careful lessons in micro-engineering popped up across the internet in order to fix the sensor inside the controller. After it became apparent to Nintendo that more than few people had this problem, they launched an update that seems to have fixed the problem the majority of console owners. Besides that, most issues with the Nintendo Switch have been design-based, like the screen beginning to scratch. This is because there is a lack of padding on the Switch’s dock piece, which drags against the screen when pulled in an out.